Location Location Location!! Beautiful and Well Maintained One-Story Home with Finished Basement in the Heart of Concord! Less Than One Minute to Northeast Medical Center and Two Miles from Downtown Concord. Pride of Ownership is Definitely Evident in this Home (Only One Owner). 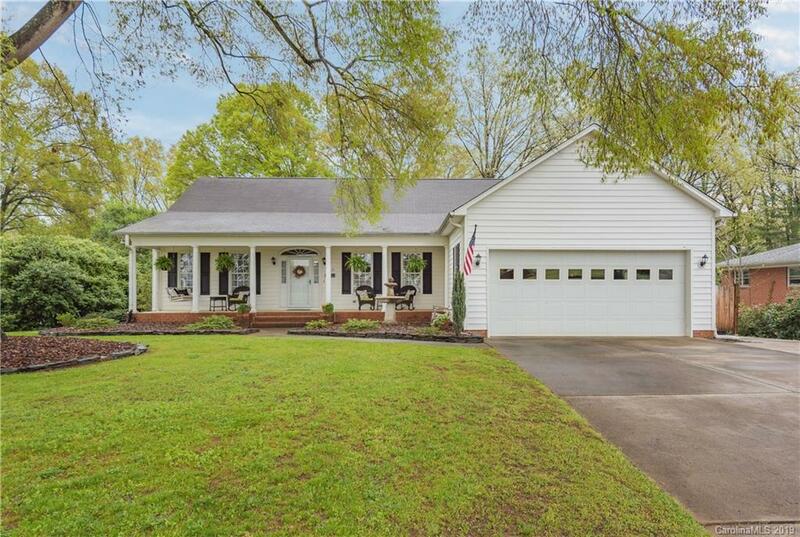 Large Front Porch Perfect for Enjoying the Warm Weather, Lovely Hard Wood Floors, Open Living Room/Dining Room/Kitchen, Split Floor Plan, Fireplace with Gas Logs, Freshly Painted Throughout Almost All of First Floor. New Stainless Steel Kitchen Appliances. Laundry Room with Drop Off Area, Attached Two Car Garage with Shelving. Fantastic Finished Basement with Full Bathroom, Bedroom and Kitchen. So Many Possibilities with This Space. Storage, Storage and More Storage! Huge Heated/Cooled Workshop and Garage. New Deck Leading Down To Outdoor Patio with Outside Brick Fireplace! This Home Truly Has IT ALL! Schedule Your Showing Today!